Sale of Christmas Cards by Squires exemplifies a way to "Keep Christ in Christmas" while supporting seminarians! 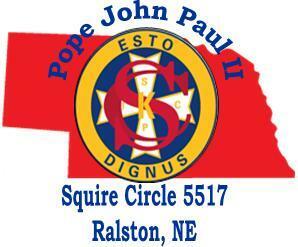 Pope John Paul II Circle 5517, sponsored by Fr. Foster Council 9518, Ralston/ Omaha, had the opportunity to help an Omaha Archdiocesan seminarian from their parish in a one-on-one way. They met Scott Schilmoeller when he attended one of their circle meetings and were immediately impressed by his faith and determination. 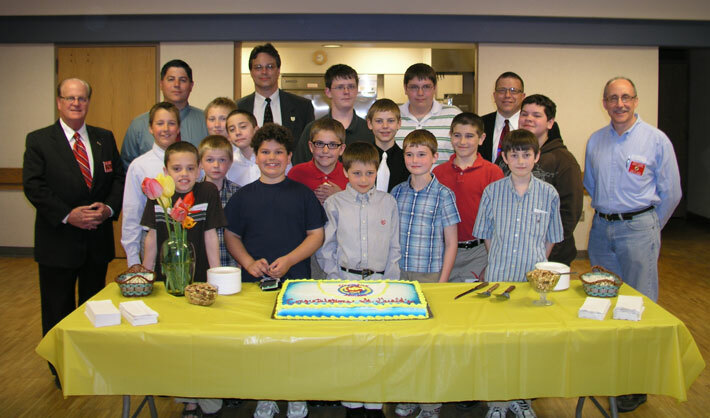 Asking their parish of St. Gerald to help by supporting their fund raising efforts, the 25 circle members began by selling "Keep Christ in Christmas" cards during November and December of 2012. Volunteers manned a table after all six weekend Masses for several weeks. They then donated all proceeds to Scott, supporting his path. They had a future goal of raising $1,000 by Lent 2013. The reflection that begins below is a combination of the thoughts of every one of the 25 young men who are members of the circle and why they felt compelled to act. It is in their own words. "In our Church today, we face many problems; we have been oppressed by our government; people are mocking us for being pro-life; and Christian kids are not even allowed to pray in public schools. But we all agree that the worst thing of all is when we, as Catholics, will not participate in the Eucharist what-so-ever. That is why, when we met Scott, a seminarian working to become a priest, we wanted to help in any way, shape, or form. His example and determination has inspired us. We started selling Christmas cards as a way to raise money so we could donate the proceeds to Scott. We hope our efforts help him to continue on his journey to receive the Sacrament of Holy Orders. With the Christmas card sales, we doubled our donation, topping out at around three hundred and sixty dollars. We hope to reach a goal of one thousand dollars by the end of Lent (2013)* to help with Scott's dream. We are all very glad to help and we feel he'll make a great priest wherever he may serve." The Squires' enthusiasm and view of the struggles the Church faces today, gives us reason to hope in the future. * They almost reached their goal of $1,000 by recently giving Scott a gift of $950!